Twitter Users Are Sharing Heart Warming Stories About Parents Who Sacrificed For Their Children By Immigrating To The U.S. In September, the Trump administration announced the end of Deferred Action for Childhood Arrivals (DACA), which would put nearly 800,000 young people out of work and at risk for deportation. Since that decision, activists and fellow undocumented immigrants have been demanding that Congress pass The Dream Act of 2017, which would protect undocumented individuals who were brought to the U.S. as minors from being deported and being kicked out of the workforce. Activists and DACA recipients are fighting for a “clean” Dream Act to be passed by Congress to protect their undocumented parents from deportation as well. For so many people, their parents are the original Dreamers, leaving behind their home country in order to better the lives of their families. Despite the uncertainty from the Trump administration, people are sharing stories of their family’s immigration to the U.S. using #OriginalDreamers. Those who have shared photos and stories tell of their parents’ love and sacrifice in pursuit of the American Dream. Here are some of the touching stories being shared. People are honoring their fearless family members that first came to the United States. Imagine leaving behind everything you’ve ever known to move to a different country to start over. They’re showing everyone what true sacrifice looks like. It looks like long hours in backbreaking work for very little pay, all spent to support loved ones. Despite the uncertainty and physical demand of some of these jobs, our parents persisted and worked hard to give us a good life. The hashtag is filled with photos of young people hungry for a new life, with words of gratitude from their children that have had greater opportunities because of them. “My victories are your victories; thank you mom and dad [I’m] forever grateful,” @ksantamaria_ wrote. Some of the stories shared under #OriginalDreamers paint a vivid picture of heartbreaking experiences. The wide range of stories shared show how different and unique every immigrant’s experience is. These parents are powerful examples of the kinds of sacrifices many people would be too scared to make. Proud children are also sharing the success stories of those #OriginalDreamers. Many came to the U.S. and did work many Americans would never do. They were maids, janitors, and farm workers, but above all, they are loving parents doing the best they can for their kids. It is easy to forget how hard parents had to work to build their lives as immigrants. #OriginalDreamers gives us a chance to reflect on the hard work they put in for the benefit of the next generation. The most prominent theme among #OriginalDreamers was sending money back to the family left behind. Because of this, children of #OriginalDreamers show pride for their hard-working parents. Family always looks out for one another, and we learned that from our parents. Some parents never got to see their children reach the success they helped pave for them. But that doesn’t mean their children can’t show their love and appreciation. ? ? ? These stories show immigrant’s resilience and strength, and the legacy they build in America. Now that you’re officially crying, don’t forget to tell your parents that you love them. Lin-Manuel Miranda has been doing just about everything he can for Puerto Rico. He’s called out the Trump administration for its slow response after Hurricane Maria. He launched a campaign with The Hispanic Federation — his father is the founder — to raise funds for the island. He also got the most famous Latino and Puerto Rican singers in the world to get down on a track where all the cities in Puerto Rico were name-checked. Oh, and the proceeds of the song will also be going to hurricane relief. Short of going to the island and getting his own hands dirty, he’s done just about everything he could. So what do you do when you’ve done everything? You go to the island to get your hands dirty. And this week, that’s what he did. Miranda got to work immediately, helping Chef Jose Andres prepare food for those in need. Did we make sandwiches for @chefjoseandres? 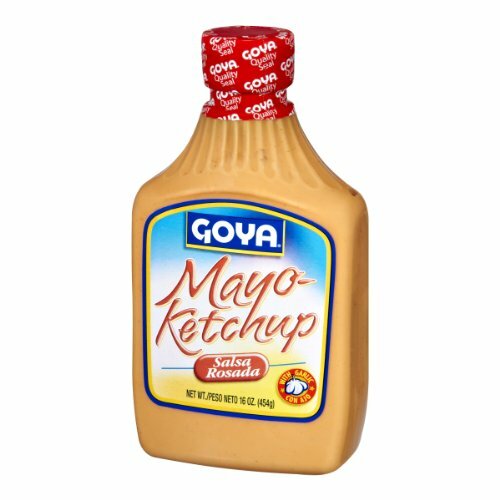 Did I use too much mayoketchup? His dad was along for the ride, too, helping make sandwiches, using all the mayo-ketchup. One of Miranda’s first stops in Puerto Rico was this mural in La Placita de Güisin in Vega Alta. We built this mural in La @PlacitaDeGuisin before the storm. Over the summer, La Placita de Güisin unveiled a mural honoring both Miranda and his grandfather, Güisin Miranda. Güisin served as an inspiration to Lin-Manuel and was well known in the community. After stopping by the mural, Miranda got back to work, handing out food to families in need. The next morning, he went down to the theater at the University of Puerto Rico’s main campus in Río Piedras. Miranda announced he would bring “Hamilton” to Puerto Rico for a three-week run in 2019. He tweeted the news moments later. Students at Teatro UPR were waiting for him to come and speak with them. When they could no longer contain their excitement, they sang. Miranda told the students all he wanted was to make art. As usual, journalist David Begnaud was on the case. And Begnaud did a short interview with Miranda to get the scoop. Miranda addressed the issue of ticket sales, saying hundreds of tickets will be priced at $10 so that people on the island can actually afford to see the show. Speaking in Spanglish, Miranda spoke about how important it was for him to travel to Puerto Rico in 2010 with his first musical, “In The Heights.” He said he hopes the three-week run of “Hamilton” will help tourism and bring some much-needed money to the island.